The Office of CIO is a participant with EU counterparts as Policy Board Members on the Horizon2020 Big Data initiative referred to as MIDAS - Meaningful Integration of Data, Analytics and Services. The MIDAS project, managed by Ulster University, was awarded over 4.5 million euros in funding from the European Union’s Horizon 2020 programme. The aim is to develop a pioneering digital platform for healthcare policy makers. 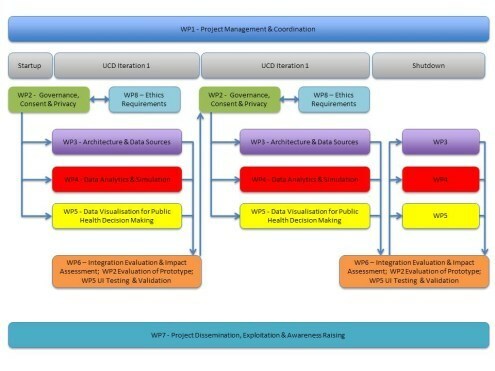 This will allow these decision-makers to tap into unstructured and unconnected healthcare data to better inform policy, reduce costs and improve health and wellbeing of the population. With these insights, policymakers can design evidence-based preventative strategies and implement policies that address specific health and social care challenges. This research will dramatically enhance the effectiveness of healthcare policies across Europe by allowing decision makers to more readily explore health trends, test theories and look for correlations and patterns. 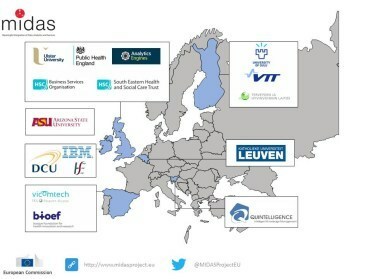 Partners in the MIDAS project include Ulster University, Dublin City University, Arizona State University, national healthcare bodies such as the NHS in the UK and HSE in Ireland; and organisations from Spain, Belgium, Slovenia and Finland.